Traditional financial institutions are fighting a war against mobile operators for the lucrative mobile payments market in Africa. At stake – billions of dollars in transaction fees and deposits – particularly targeting the traditionally unbanked population. In more mature markets, such as Europe, where banking penetration is high, most mobile payments options work in partnership with an existing bank. Mobile payments typically take advantage of smartphone apps to facilitate a transfer from the buyer’s account to the seller’s. In large parts of Africa, however, the outlook is very different. Large sectors of the population have historically operated on a cash only basis driven by a combination of low or sporadic income and have never had a bank account. Yet, in most African countries the penetration of mobile telephones is 80% or more. For banks, mobile payments represent an opportunity to expose potential customers to full service banking services i.e. each consumer that wishes to take advantage of their mobile banking offering will need to have an account and deposit cash into it. Mobile operators, on the other hand, see an opportunity to cut out the banks and simply charge a fee per transaction – either by deducting airtime or by charing the merchant an agreed fee. The difference between the two? Where mobile operators have traditionally had a poor understanding of their customer (particularly in markets like Africa where the market is predominantly prepaid) banks must capture substantially more information about each customer. It’s a question of compliance – banks must comply with onerous Financial Services Anti-Money Laundering, Terrorism and Sanctions legislation that require minimum standards of data capture. Its a question of economics – banks must accurately risk profile their customers to manage both their own credit exposure, and to limit the risk of another financial melt down. On the contrary, mobile operators have limited financial exposure to any client, typically imposing their own (relatively small) limits on any outstanding bill. They are faced with far fewer regulatory requirements related to customer data. And, they have a simple effective means of communication via the mobile device. 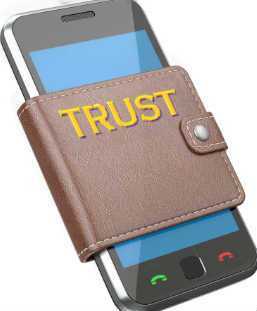 The difference between banks and mobile operators may be less about cost than trust. While cost will always be a factor for some consumers, most consumers wanting to move money will need to trust the provider. Quality client data helps to build this trust. Many Africans have been exposed to mobile scams – after all the 419 scam was invented in Nigeria. Banks are built on trust – after all, to take deposits, a bank must qualify for a banking licence which guarantees a certain level of trust worthiness. Quality client data helps the bank to communicate appropriately, to price competitively and to add additional, targeted value for the client. Positive customer experiences translate to word of mouth confidence – whcih builds additional trust within the broader community. For mobile networks to compete with banks on the trust front may require substantial investments in data – investments that our clients in financial services have already made and where these banks have a substantial head start. Will quality data be the deciding factor in who wins war for the mobile payments market?